There are so many Platforms to Start your own Blog or Website. Before you Start Worrying about Domain Name and Web hosting, the most important thing is, What platform you’re going to Build your Blog with and second, How to bring Free Traffic to your Blog? People think that Making a Website from Scratch is very difficult and requires a lot of Coding and Design Skills, but these Days, as we know things are much more easier than ever before. Start Publishing Posts/Pages and become a WordPress expert yourself by doing things practically and also by learning. So nothing to worry, you’ll get all the information here to Start your Blog step by step. Here comes Content Management System(CMS)like WordPress have Made Creating a Blog Accessible to Everyone around the World. An Easy Step by Step Guide to Start and Build your Blog on the Right Platform is given here, so please keep on Reading…. These all Steps given Below can give you the basic Idea to Make your own Blog or Website to Make Money Online with Affiliate Marketing. Steps are SIMPLE, you Just have to Choose Blog Building Platform, Choose a Domain Name and Setup Design and you’re Ready to Go. Content Management System or CMS is a Software that facilitates Creating, Editing, Organizing and even Publishing Content. WordPress is a Content Management System, which allows you to Create and Publish your Content on the WEB. WordPress also allows Users to have Full Control over the Files, Documents, Design and also Display of the Content. This is the Beauty of this Software (WordPress) that you don’t have to learn Coding to Publish your Content. Content Management is a Techie Task, which Made Easy by using WordPress Built-in Tools and its Extensions. There are many CMS Options available, but WordPress is one of the Best to Choose from those Platforms for your Blog/Website. WordPress is an Open Source Software, which means Created by and for the Community. You’re Free to use it for any type of Website without Paying anyone a Licence Fee. For Beginners, WordPress is the Easiest Platform, I can say through my own experience, because when I started my Ease Bedding Blog with Word press, I knows nothing about this Software, but by doing, by learning and watching Video Tutorials I’m able to turn my Hobby Blog into Profitable Niche, which is Making Decent amount of Money now. And the same thing you can do, yes there is lot of learning and hard work before Earning. WordPress is Flexible Enough to Suit Everybody from Small Business Owners and Freelancers to Creative Bloggers. There are so many Bloggers, who are Making Decent Amount of Money with the same WordPress Platform. 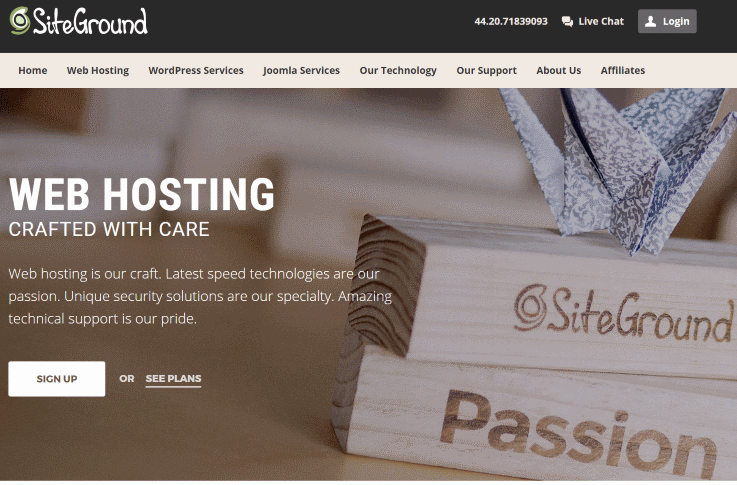 Choose Hosting Company to Get Started with WordPress! Though WordPress is Free to use, still you’ve to Pay for Hosting Company, because WordPress don’t Run by itself, you need a Host to Run it. Web Hosting is a Service, which allows Organizations and Individuals to Post a Website or Web Page onto the Internet. Websites are Hosted or Stored on Special kind of Computers Called Servers. Web Hosts are Companies, which provide Internet Connectivity, basically in a Data Center. In Simple Words Web hosting is a place, where People Store their Websites. Whenever Internet Users want to see your Website or Blog, they just type your Website Address into their Browser. Then their Computer will Connect to your Server and your Web pages will be delivered to them through the Browser. Shared Hosting: In Shared Hosting, One’s Website is placed on the same Server as Many other Sites. Basically All Domains may Share a Common Pool of Server Resources. For example RAM and the CPU, so Cost is very Low. Virtual Private Server (VPS) Hosting: A Virtual Private Server Hosting divides a Server into Virtual Servers, where each Website is like hosted their own dedicated Server, but actually they’re Sharing Server with few different other Users. Dedicated Server Hosting: Dedicated Server Offers the Maximum Control over the Web Server. Your Website is the only Website stored on the Server. Cloud Hosting: Cloud Hosting is the latest form of hosting, which has become very popular over the past couple of years. Cloud Hosting is based on the Most Innovative Cloud computing Technologies that allow Unlimited number of Machines to act as one System. Other Hosting Solutions; such as Shared and Dedicated depends on One Machine Only, but Cloud hosting Security is guaranteed by many Servers. And Cloud Technologies allows easy Integration of Extra Resources, such as Space or RAM and thus Enable Website growth. Domain is the Name of your Website. Before you can start a Website, you’ll Need a Domain. To purchase a Domain Name, you’ll need to use a Registrar. Such as Site Ground. Your Domain Name should be Unique(such as-easebedding.con) that Reflects your future Website, Business or Blog. 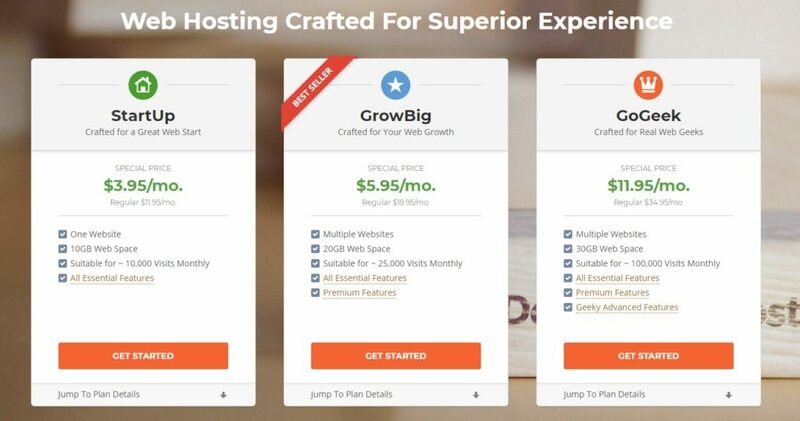 You can Pick any Web Host, as long as it is Reliable, But I’ll recommend to use SiteGround. Selecting a Reliable Web Host and at the same time with good Price is very important. But you don’t have to worry, because after using almost for three years, I can Recommend Reliable Hosting Plan to you, so you don’t have to waste your time. The Name of that Host is-SiteGround. We assume, you’ve chosen Domain Name, Hosting Plan and now you have installed WordPress Application as well. After installing WordPress Application, you can install some Plugins. Then you can Choose Theme, which ever you like to have according to your own taste or Blog Structure. There are Plenty of Free Themes available to choose from them and in my opinion, in the beginning you should start your Blog with Free Theme and once your Blog starts getting Traffic and start Making some Cash, then you can change your Theme. For my Ease Bedding Blog, I used Free Theme and after almost a year, when my Blog started making regularly each month over US $500 then I converted that Same Free Theme to PRO. And now my Blog is making around $1000 monthly and sometimes little less or more. How to Get Visitors to your Blog for Free? Whether you’re blogging for fun or for any other Reason, you need Readers to find your Blog. It is so important and most Online Businesses work on this System to Drive Traffic to your Website or Blog and Convert that Traffic into Subscribers. You can get Paid and Free Traffic and we’re talking here in this Post about only Free Traffic. Without having Sufficient Traffic, your Blog will never Accomplish its purpose to be live. Some people start their Blog just for fun or as a Hobby, Some start Blog for Community and others want to Make Money with it. Whatever the reason is behind to have a Blog, for sure you need Readers to find your Website or Blog. If there is no Traffic to your Blog, the purpose to start a Blog will lost. Generating Traffic is the Food for your Online Business, as healthy diet is important for all human beings to live happy, harmonious and Peaceful life and without Healthy food, we can not live for longer. The same way Blog Traffic is important, otherwise there is no purpose of having a Blog if there is no Traffic. Without Sufficient Traffic, your Blog will never Accomplish its purpose, doesn’t matter for what reason you launched your Blog. Online Businesses works on one very Solid System; Drive Traffic and then Convert that Traffic into Subscribers. In the long run this will help your Blog to Grow over time. How to Grow Traffic to your Blog? There are many Ways to get Free & Paid Traffic and there is nothing wrong to Bring Traffic to your Blog with PPC and Advertising Models as well. But here in this Post we’re going to focus only on Free Traffic, Not the Paid. While there are Numerous Pay Options to Generate Traffic, at the same time there are an equal Number of Effective and Free Tools to Generate Free Traffic. Leave Comments on Other Blogs: After having at least at some level Success with my especially Ease Bedding Blog, I recommend new Bloggers to Leave useful Comments after reading a Blog post, not just to put your Website link. It works for me and I hope going to work for you too. By reading others Blog posts, you’ll not only get Traffic, but you’ll also get knowledge and ideas from others. By Commenting you’ll be creating a Doorway Back to your own Blog for the Readers of that particular Blog. Medium Size Articles: Your Posts or Pages should not be too long or not too short, because extremely long and extremely short Web Pages are not Ranked as highly as that are of a Reasonable length. I’ve seen with my own experience that even my Blog Posts, which are not too long are getting more Views rather than long Posts. Write Posts Consistently for your Blog: It is very common understanding that Blogs with More frequent Posts tend to Receive More Traffic than Blogs that post once a Month. Because New Pages bring New Views. It is Simple and it works for me. I’ve spent almost over a month doing so much with old Posts, but the Traffic remained same. But as soon as wrote few posts and it is always, my Google Traffic Increased. So Try it, it is just Free!! Blogging Platform: Using a Good Platform for your Blog is so important; for example, you can use WordPress for your Blog to grow. Even you can have more Control over the SEO of your Blog, when you’re using a Self-hosted WordPress. Blog Design Adjustments: Tweaking your Blog just a little can Make a big Differences to Traffic over the time. Even Effective Cross linking will help Search Engines to Index your Pages and also help your Readers to see What other Relevant Content you have. These minor Changes will also Make for a better Visitor Experience and keep your Readers on your Blog for longer Time. So Try it and Enjoy watching to Grow your Blog Traffic! Share Posts on Social Media: The best thing about Social Media is that it is most of the times Free to Use. Yes they do have Paid Programs also and you can get Results more Quickly with Paid Campaigns. Social Media is one of the best and most Popular Free Ways to Increase Blog Traffic. So use Twitter, Facebook and Google+ to Share your Posts and find New Connections. Evergreen Content: Your Content should be evergreen, means not only for today, but it should be good for all coming years as well. Evergreen Content is the kind of Content, which can live forever on the Web. For example Old is Gold and some Old Movies are so good, which were made in 60s still they are good, you like to watch and l myself, love Old Movies and Old Songs. Another example is; my other Blog is Ease Bedding Dot Com and I write all my Posts about Bedding Sets, quilts, Comforters etc and the Bedding is also evergreen Niche, because we need them forever in the past and in future as well. Get Ideas: You can get ideas from Quora and see what Questions are being asked, which relate to your Industry Subject. Seo WordPress Plugins for Bloggers: There are so many Plugins available to use Paid and Free. It’s up to you, how much money you want to spend. Personally I don’t use any SEO Plugin for my both Blogs. You can use any of them to optimize your WordPress site for SEO. Both of them are having Good Reviews and quite popular. People use and they say in Reviews and in Comments that they’re getting benefit of using them. Write Guest Posts for Other Blogs: Writing Guest Posts for other Blogs can Increase Traffic to your own Blog. It can also give to your Blog a Back link from another popular site. Yes one thing is very important, when you’re choosing Blogs to Submit to, there are few things to Consider. For example; you must choose a Blog, which will Share your exact Audience Members. Share Posts on Social Media: Social Media is Free, most of the time to Participate on. Share Pins with Pinterest: This is my favorite one and I like Pinterest to share my Pins a lot. You can Check my Pinterest Board Here. I’m getting free Traffic from Pinterest, little bit from Reddit, Twitter, Google + and Facebook. Taking the advantage of this Massive Traffic Opportunity is of tremendous Value to Bloggers. These Networks are attracting a lot of time and Interest from Internet users around the World and those, who participate on these Services fit into the Content Distributors. Means they are like to help Spread the word about your Blog. Leveraging these Networks to Attract Traffic requires some time and Consideration in What Content to Share and How to do it Properly? So start Sharing your Blog Posts from today and earn Sharing from others, which is absolutely Free of Cost. Install Google Analytics and it is free to use. Then watch where the visits Originate, Which Sources Drive Quality Traffic. I believe in Simple and Beautiful Design of my Website, because it keeps my Visitors longer on my site. So fancy Design is not important, just Simple is okay and the Content is more important, what you write and How you write? Spend more time on writing Valuable Content. It doesn’t matter that you have to Pay a lot of money to a make a Design of your Blog, but you can do it yourself with your imagination and little creativity. I created the Design of my Ease Bedding Blog myself, which is Simple and Beautiful. Since than, the Traffic of my site is increased. You can Get Traffic by commenting on other Blogs. Write Comments, which adds Real Value, means comment should be truly fascinating and Remarkable. Be Consistent and Don’t Give up! After launching my Ease Bedding Blog, approximately in eighth month, my check was around US $400-500, before that it was $15-$20, $70, $120. Write More: Studies show that the more often you Update your Blog, the more Traffic it will Receive and this I can say with my own experience as well. Whenever I write New post and PUBLISH it, I get More Traffic, because Google gives high priority to Websites with fresh Content. Simple formula, if you want to get more attention from the Search Engines, Update your Blog as often as you can. Write Good Titles: The Titles for your Blog Posts are so important to attract your Readers to go ahead and Read them. So choosing the Good Title for your Blog Post is very important to keep your Readers to stay on your Site for longer time. This will also help to decrease the Bounce Rate of your Website. I’m also now learning to write Good Titles of my Blog Posts. The Conclusion of this post is Simple and Easy. Means there are so many free ways to drive traffic to your Blog with your your hard work. You don’t have to spend even a single Penny to Drive Traffic to your Blog and Make money with it. Just write Quality and Quantity Content and Share on Social Media, which can help you to get good amount of Traffic from Social Media and from Organic Search Engines; such as Google, Bing, Yahoo etc.